Don’t get too comfy up here. It’s beautiful, though. Yesterday, while busting suds, I started thinking about what I wanted to do with my creativity for the next few years. Because we all have life-changing conversations with ourselves while washing Pyrex dishes, right? I had a great week freelance editing and writing across platforms, and doing fun things like that makes me want to do more of it. Permanently and full-time. It then struck me that in order to make this my life’s work, I will need this internal drive forever. That’s daunting. Some days, I feel lackadaisical about productivity, but full-time freelancers don’t have that luxury. The phrase “don’t rest on your laurels” seems apropos here, but an entirely unrelated adage sneaked into my thought-process. Remember Dr. Martin Luther King’s famed speech, “I’ve Been to the Mountaintop,” delivered on April 3, 1968, just before his assassination? He spoke of a figurative mountaintop as a symbol of the goal the Civil Rights Movement (CRM) worked to achieve: Freedom. Everyone has their own definition of “Arrival” on the mountaintop and how that might look, but I can say with certainty that it’s universally desired. Conversely, I thought of a literal mountaintop. 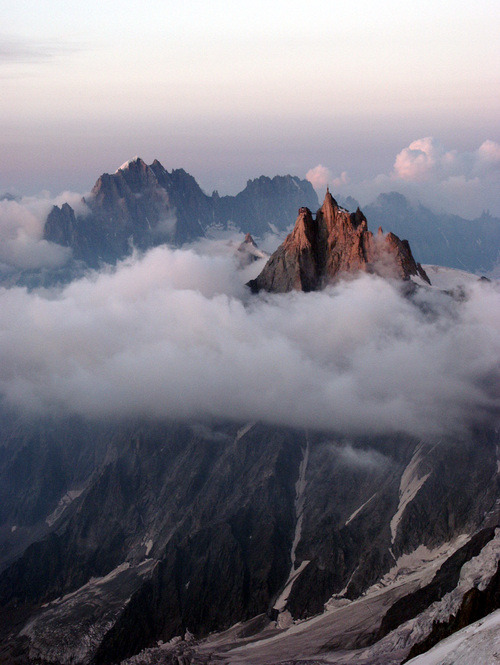 What do people do when they reach the summit of mountains? They stake a flag, inscribe their names on walls, bust out a couple of selfies, grab a special Kilimanjaro rock…and then they descend. They make their way down to the bottom and they look for other mountains to scale. That’s where my mindset has landed. Yesterday, I reached a goal. A small one, but I needed to grab hold of those crags before I could grasp bigger ones. I am tired but excited about the next triumph on my journey. Gotta keep going. The last concept I thought of still gives me pause; I do not have an answer for it. 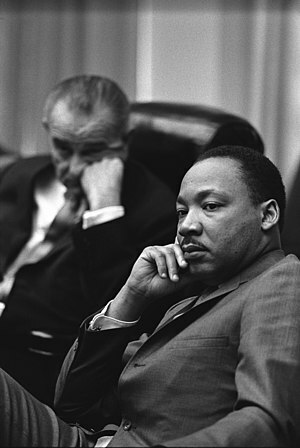 The “Mountaintop” speech was, by decree of a sniper’s bullet, the culmination of King’s work. Prescient, it foretold his death and the desired outcome of the CRM. But what of black America? What is black America’s next mountaintop? Historians reflect on that speech and say that we have arrived, we have planted flags at the summit. We were never meant to stay here, though. The mountaintop is but a resting place, a depot for wayfaring souls to taste victory on the road to equality. Here’s the thing about mountaintops: If you stay too long, they become cold and inhospitable places. America, in general, has to come down from any self-congratulatory perch regarding racism, classism, sexism, or any ism, in order to truly progress. We run the risk of congealing if we cease moving. Happy Friday! What are you climbing toward? Very inspiring. The fact that there will never be a post-racial america. That was a wow moment for me. But i struggle right now with looking for the next rock to grab while still climbing my FIRST mountain, cant wait to make it to the top then look for the next one to climb, maybe a little bigger then the first. Thank you! I’m still trying to climb my itty bitty mountains too. Press on, sis!